Al-Falaah College is a co-educational, faith based Independent school that has established itself as a centre of excellence committed to providing a holistic education in an environment which is infused with Islamic values. Catering for the educational needs of students from Grades 00 to Grade 12 in the Durban area, the College environment nurtures the innate ability of all students to explore and discover their Allah-given talent and achieve their full potential. The plethora of accolades, recognition and awards received by the school bears testament to our success in achieving our mission. Al-Falaah College is proud of its 100% Matric pass rate, 100% bachelor passes. 43% of Students achieved Distinction aggregates. 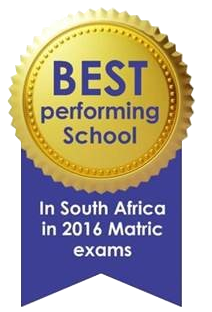 Al-Falaah College has 225 Subject Distinctions with 3.3 Distinctions per learner. Al-Falaah College has a strong Islamic ethos and is committed to developing visionary leaders with character who will serve humanity. The College environment is specifically designed to nurture and unleash the ability of every learner. The team of educators at Al-Falaah College has been carefully selected not only to guide, but to also enhance their self-esteem, emotional maturity and understanding of the world. Al-Falaah College has developed a physical education and sports policy that states that the physical fitness and skills development of every learner is vital to the education process. Our students are encouraged to participate in various codes of sports at the hand of talented and qualified coaches not only developing physical skills but also high levels of confidence in students at all age’s levels. We boast some of the best indoor and outdoor Astro-turf facilities in the province which has seen us achieve great success at provincial levels especially in soccer and netball both being our core sporting codes. Al-Falaah College has introduced a 1:1 digital tablet project this year. Learners use a tablet for accessing predesigned lesson material and for researching purposes. This initiative meets the individual need of our learners, helps facilitate good communication and collaboration and enables anytime, anywhere learning.